All humans have inner fears. Fear is a normal emotion when dealing with life's situations but it can become paralyzing. When fear overcomes our lives and prevents us from functioning, it is the time to consult with a counselor. 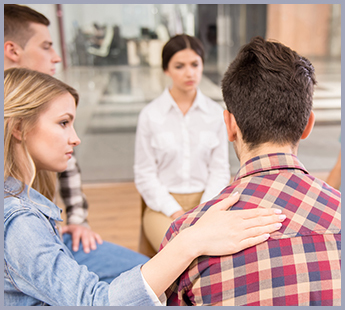 At Stress Free Counseling, we help clients in Westchester and Putnam Counties find ways to identify, label, and work on overcoming fears through phobia treatment. There are many normal life situations that fear help us overcome. However, for some, fearful thoughts paralyze us and cause anxiety, even though they might not be totally realistic. Fears are very subjective and affect people in different ways. For example, if you have a fear of being trapped, you will avoid elevators, although another person will not understand your irrational fear. We use a slow patient approach to phobia treatment, understanding that you must proceed at your own pace. At times we will offer a gentle nudge to help you overcome a particular obstacle but we respect your speed of healing. Feeling validation by finding others who have walked in your shoes helps with phobia treatment and recovery. One benefit of working with us is that we will find support groups, online forums, and other resources so you don't have to feel alone. Often, family and friends won't understand but a person who shares your fear will. Remember that you aren't alone and that others feel the way you do.